NIS America to release Akihabara-set adventure game in October. NIS America is bringing Akiba’s Trip: Undead & Undressed to PlayStation 3 and PS Vita in Europe on October 10, the publisher announced. The game is already confirmed for release via publisher XSEED Games this summer in North America. While an official date has not been announced, retailer listings suggest an August 7 release. Neither XSEED Games or NIS America have announced the PlayStation 4 version for localization. Find a story summary and list of features below. Faithful Recreation of Japan’s Electronics Mecca – Like a virtual tour of Tokyo’s Akihabara ward, all major outdoor locations from the town have been painstakingly recreated, with over 130 real-life shops accurately represented. Unique and Customizable Brawler-Style Combat – Anything can be a weapon, from baseball bats to comics to motherboards, and individual clothing items may be targeted, stripped, and added to the player’s own inventory. 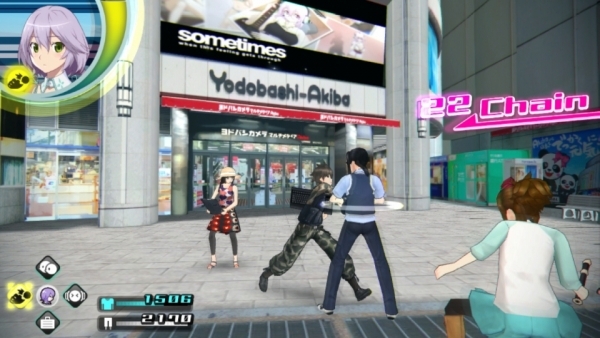 Satirical Story with Divergent Paths and Multiple Endings – Playing off common anime and video game tropes for social satire, the player’s choices determine how the story progresses, leading to one of many unique endings. Modern Day Setting Enhances Gameplay Options and Adds Pop Culture Feel – The in-game smartphone is used to check email, read comments on “Pitter,” take sidequests, catalog ad flyers, launch apps to identify the undead, and much, much more.